1. For our location and purposes, southerly winds = not great news. Northerly winds = better news. Wind coming from a southerly direction has passed over the Atlantic ocean, creating moisture-rich air. Wind coming from a northerly direction usually has passed over land (New Brunswick), creating a drier air. 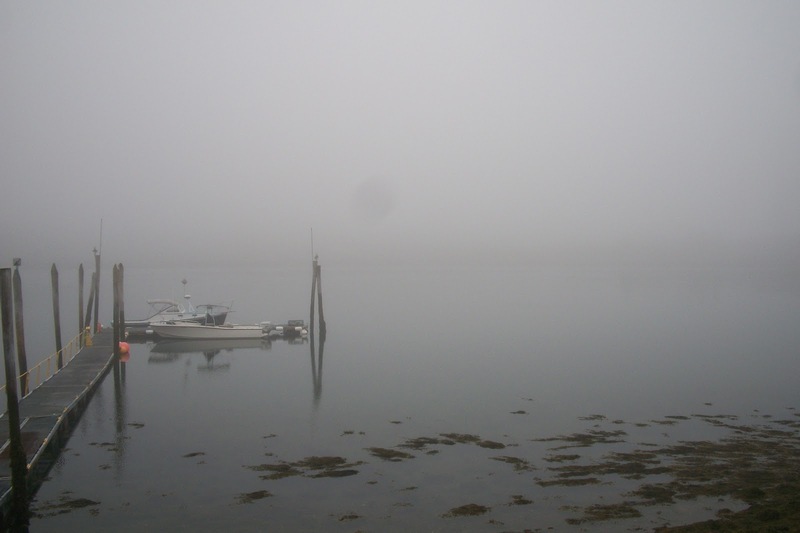 Here, air laden with moisture can lead to fog, whereas dry air will not. Inspiration for this blog. 12 August 2012. 4. ... yet while we might be able to hear the whales better, it doesn't really make our work any easier. 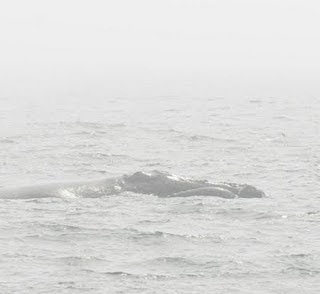 It's difficult to photograph whales in fog! 5. Right whale researchers start to go a little crazy when stuck on land for too many days straight. The perk? Our amazing Claudia comforts us with food. 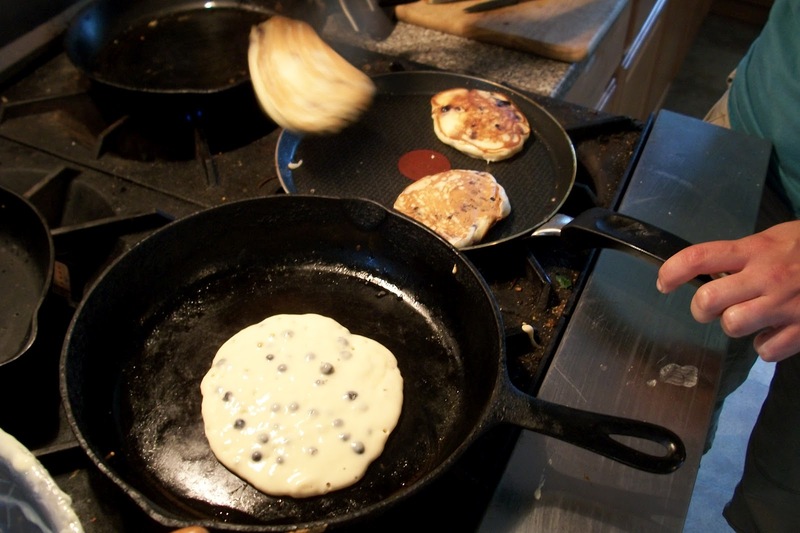 Yesterday, it was pancakes with local blueberries. Thanks for the great explanation regarding the conditions that prevent you from going out. Rough seas were my concerns. 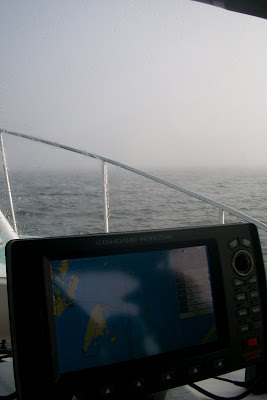 We'll wish for calm seas and clear skies with lots of right whales for the near future. I really appreciate your explanation of the causes of the weather conditions in the Bay of Fundy, and the way it effects your work. I also enjoy hearing about the wonerful culinary fare served to those deserving researchers. Glad to hear it, Carol! Thanks for your support!